The coolest thing about these dimensional cards is that they fold flat for placing in envelopes. Ohhhhhh, I have sooo many ideas for this die! I believe I have too many ideas and not enough time for creating. A problem we probably all have. 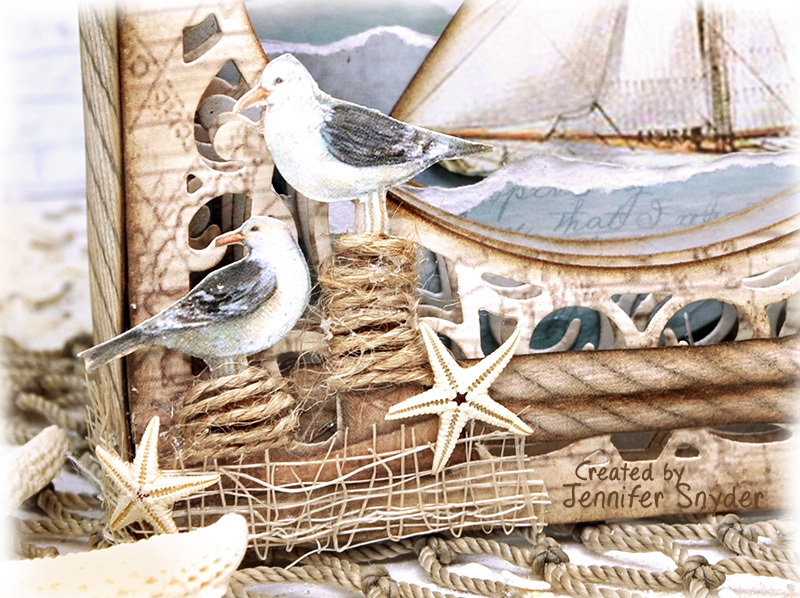 I created a little seascape using the Sea Land paper collection from Stamparia. It's my version of a ship in a bottle concept. The sweet sea gulls are also from the Stamperia paper . 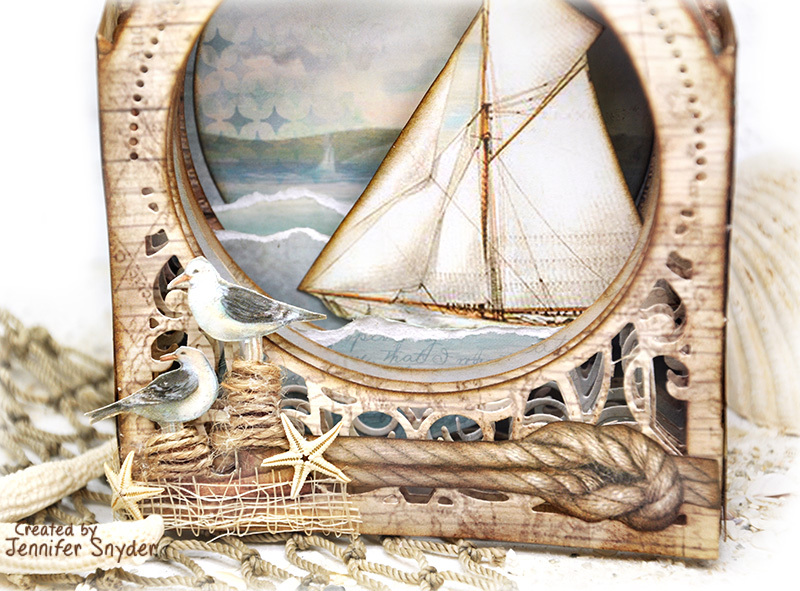 I simply cut them out and added some hemp cord for salty seascape effect. 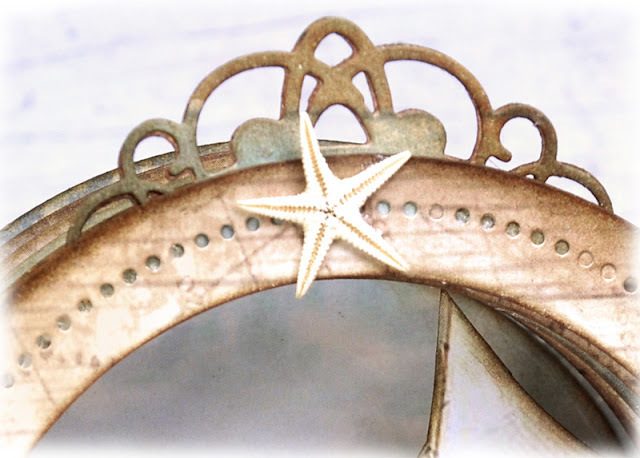 The adorable tiny starfish were given to my by my scrappy friend, Kathi Simmons. Thanks Kathi! They are the perfect finishing touch. Walnut Stain Distress Ink for bold accent, then pieced the card together. 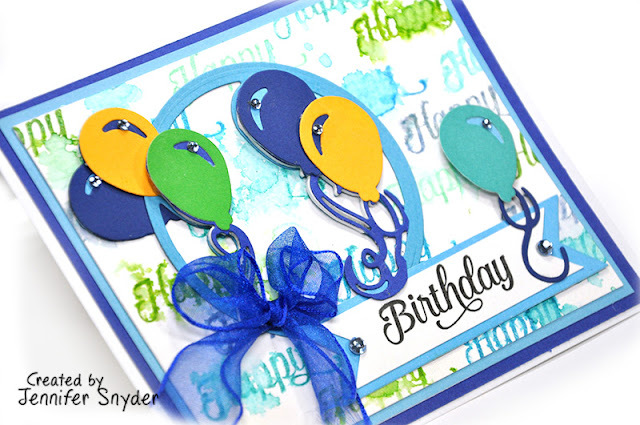 The small die in the set made the perfect topper for my card. Thanks for stopping. I appreciate your time. I'm here today wishing you a Happy Memorial Day and remembering all those brave service men and women who gave their lives for our continued freedom. I've got some patriotic shaker cards to share using the cool and unique Star Doodle Frame chipboard from Creative Embellishments. 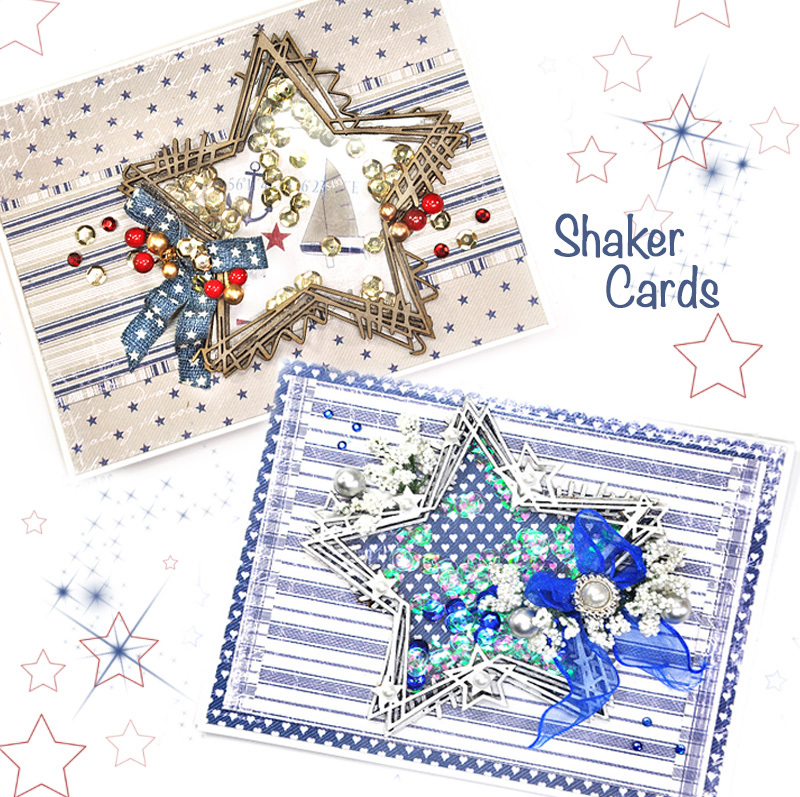 Shaker cards using chipboard? Absolutely! Super easy too! Scroll down to see my DIY tips showing how I made these. 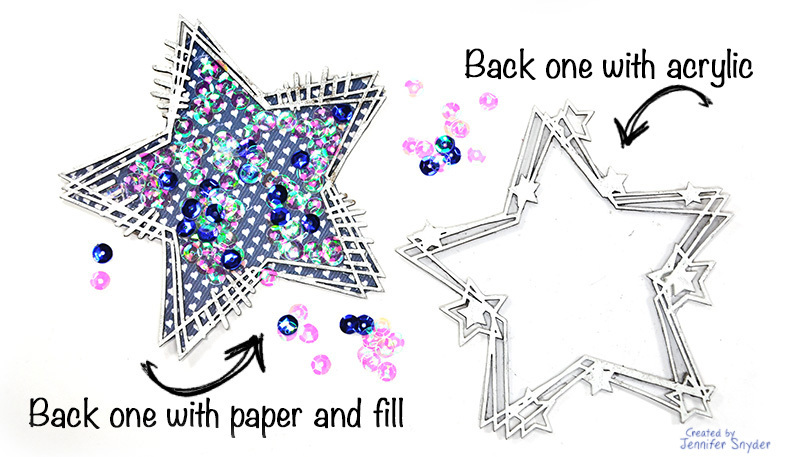 I simply glued two chipboard star shapes together and filled them. I don't think shaker cards can get any easier. The stars are not identical. They are all different and beautifully unique - but don't let that distract you from trying this cool technique. You really don't notice the differences when assembled. Actually I think the differences add a bit more charm to the card. 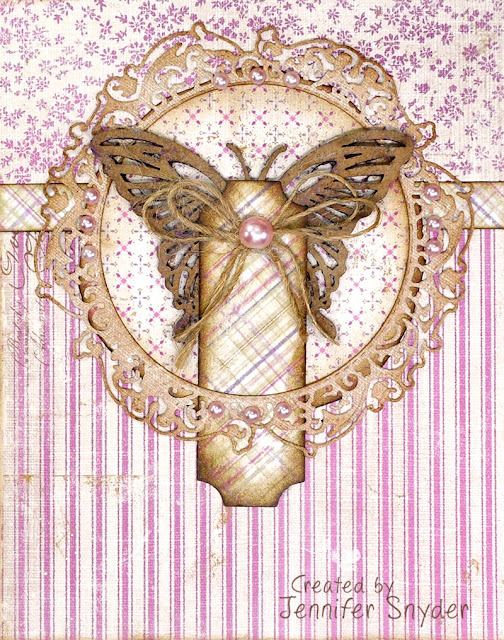 Here is my first card. 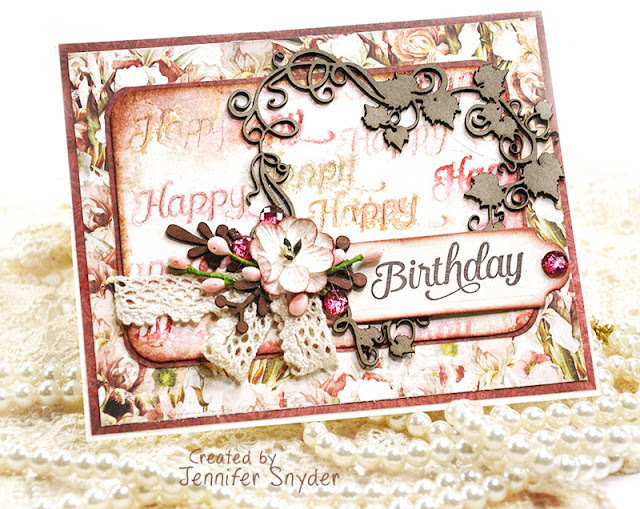 The papers I used on this card are from Maja Design and are from the "Life in the Country" collection. 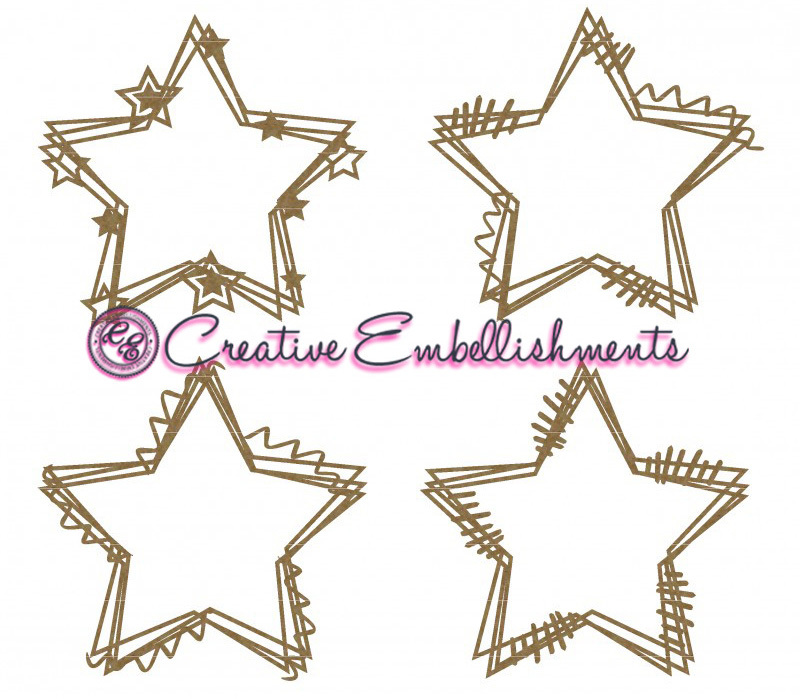 Choose your star chipboard pieces. 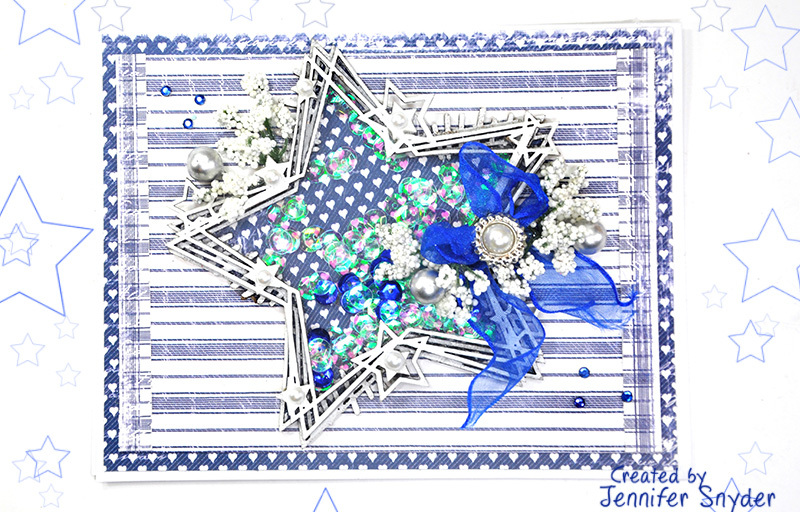 Once again, I used Star Doodle Frame chipboard from Creative Embellishments. Back one star with paper. 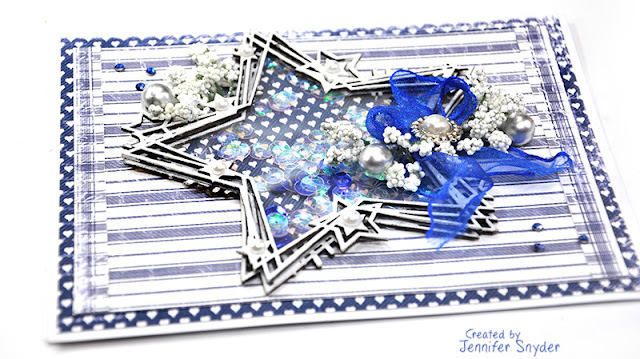 Next cut an acrylic star to fit the chipboard. Don't have any acrylic? 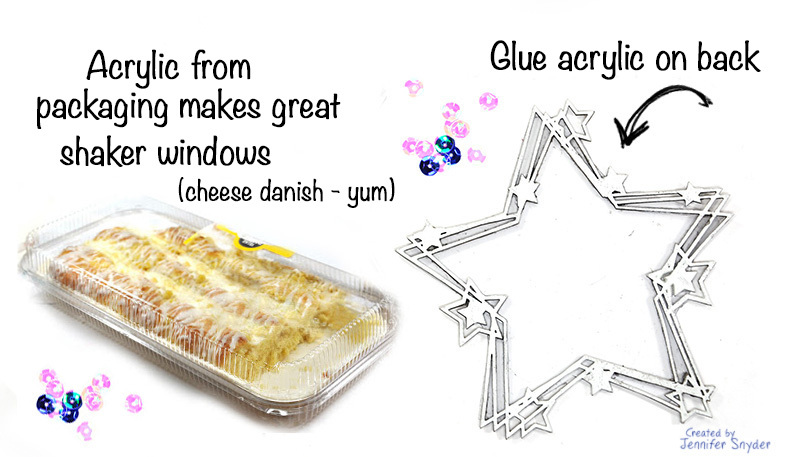 This is what I do....I eat the rest of the baked goods I bought for the family - this one happens to be the beloved cheese danish. Just wash and dry and instantly I have acrylic. Look at the top of the container....all that lovely usable acrylic begging to become a shaker card. The possibilities are endless - baked goods, fresh fruit and veggies, packaging from your crafts and crafting flowers....search the house high and low. 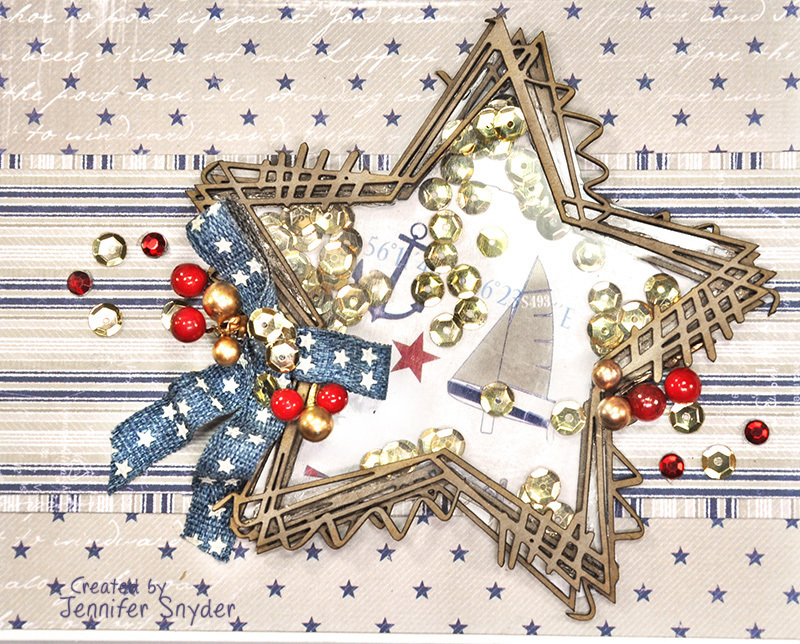 Here is the second card I created. I little more patriotic. This was created using the Maja Design paper collection called "Life by the Sea". I decided to leave the chipboard natural for this card because the kraft color of the chippies really made a nice accent for the paper. 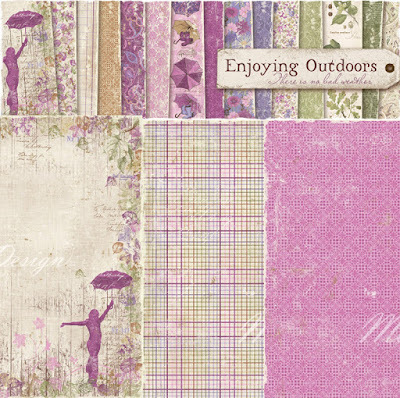 I'm here to share a pretty purple card I made using the Enjoying Outdoors collection from Maja Design. 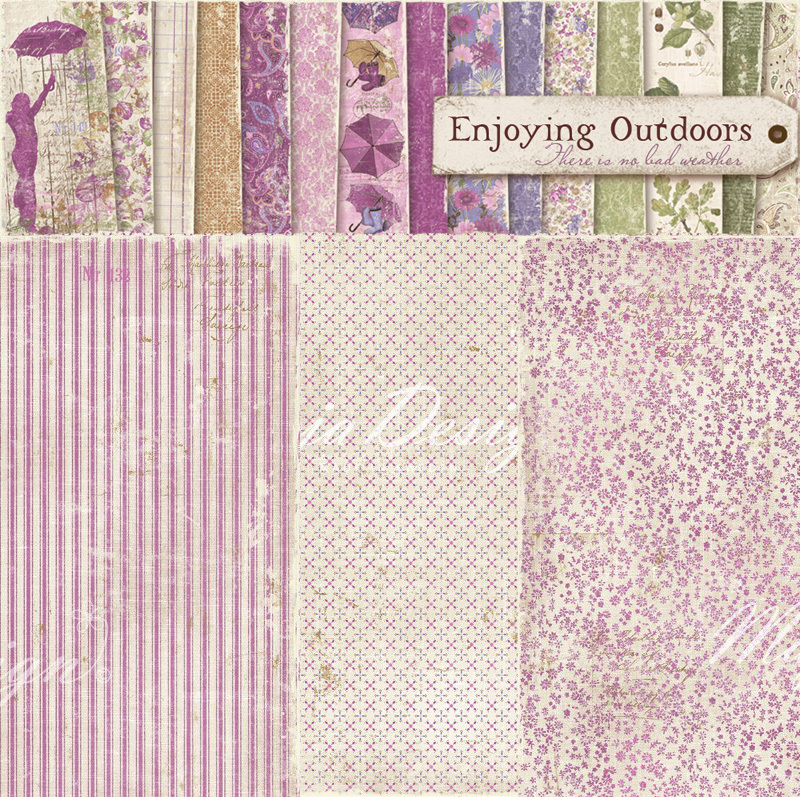 This collection features exquisite shades of purples and greens making a fun and versatile collection. The images on the collection inspire year-round crafting possibilities - from the fun umbrellas and Wellington boots to the greens and florals. 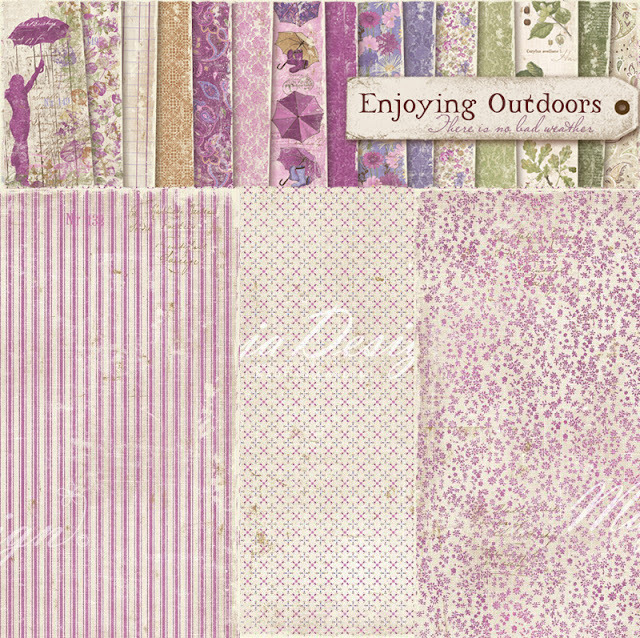 I'm a purple fan so the papers in Enjoying Outdoors really speaks to me. 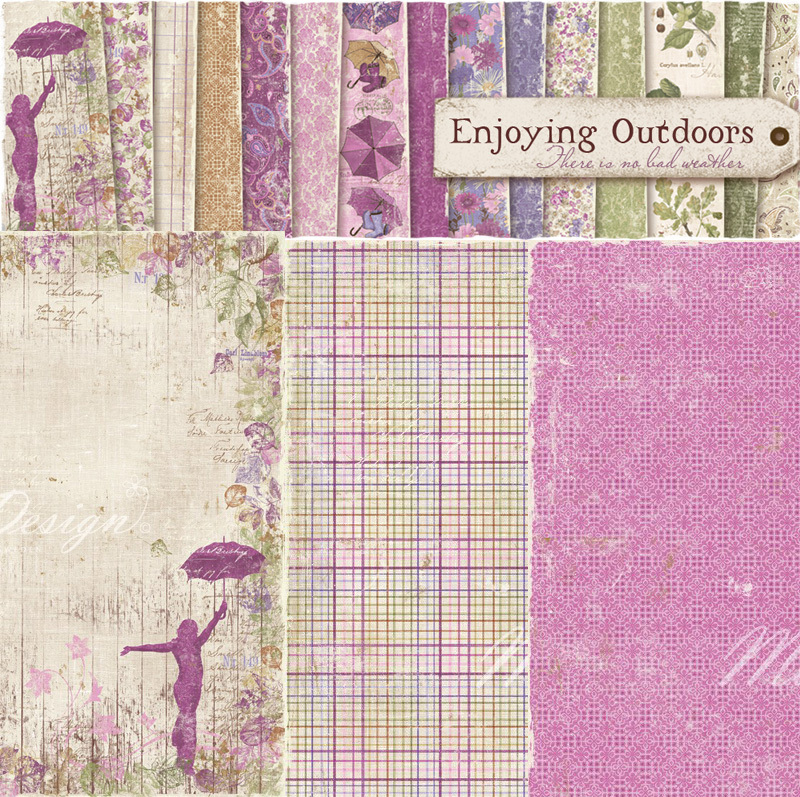 The image above shows the papers I used from Maja Design - Enjoying Outdoors. Click here to see the entire collection of gorgeous papers. 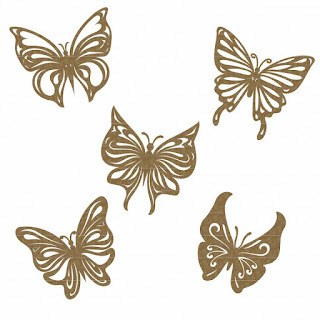 The design has beautiful delicate details. Because of this, I left my embellishments on the plain and simple side so that the papers had an opportunity to shine. 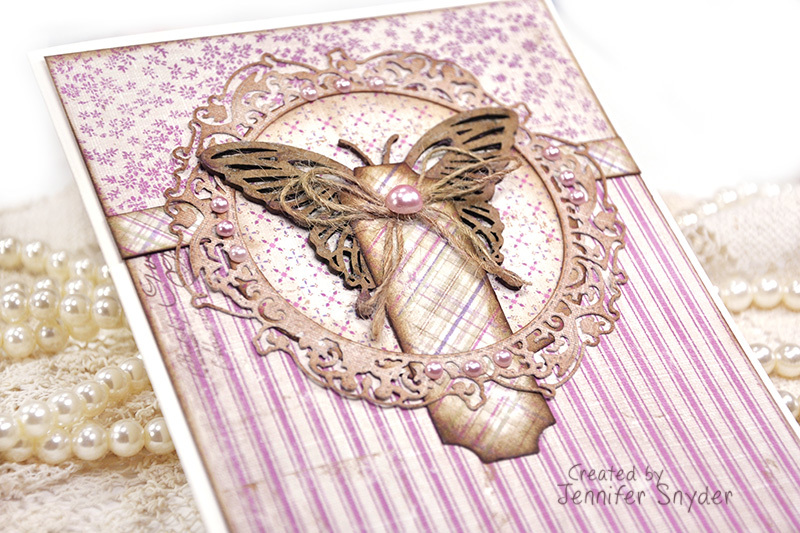 A little about the accents on this card...the featured embellishment I chose is a chipboard butterfly from Creative Embellishments - Butterflies Set 5. 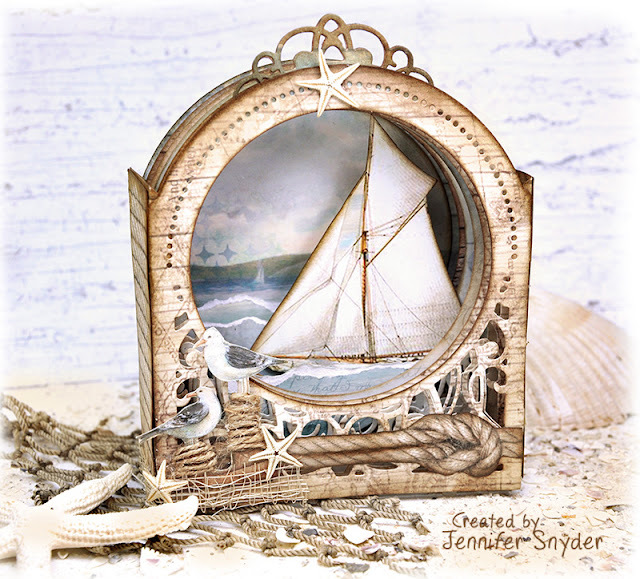 I left the chipboard piece in it's original color with no treatments because the kraft color of the chipboard was a nice accent. 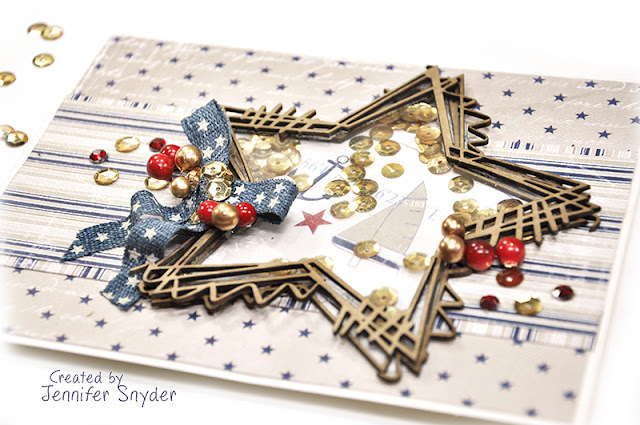 The decorative circle die is from Graphic 45 - Staples Collection - Square Tag and Clock. I chose to leave out the clock face. 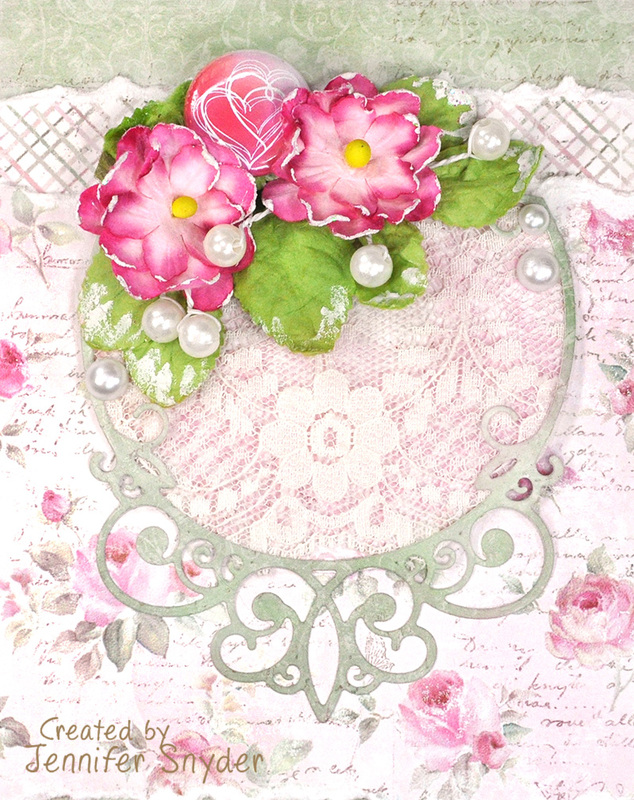 I also have some pink adhesive pearls as finishing touches. 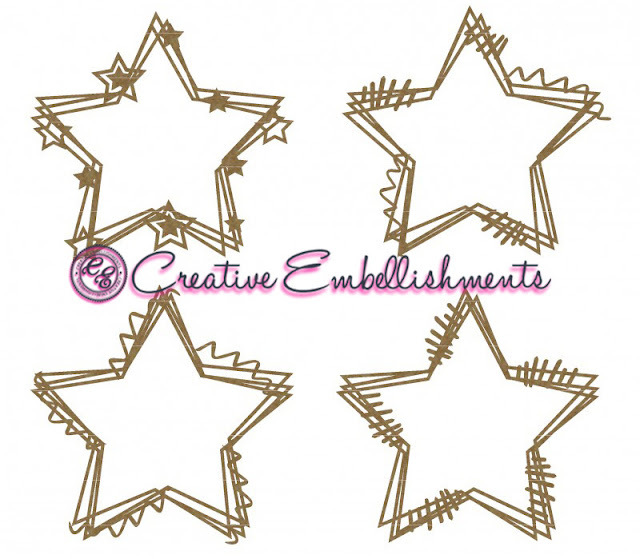 You can shop for all your Creative Embellishments chipboard here. Hello friends. 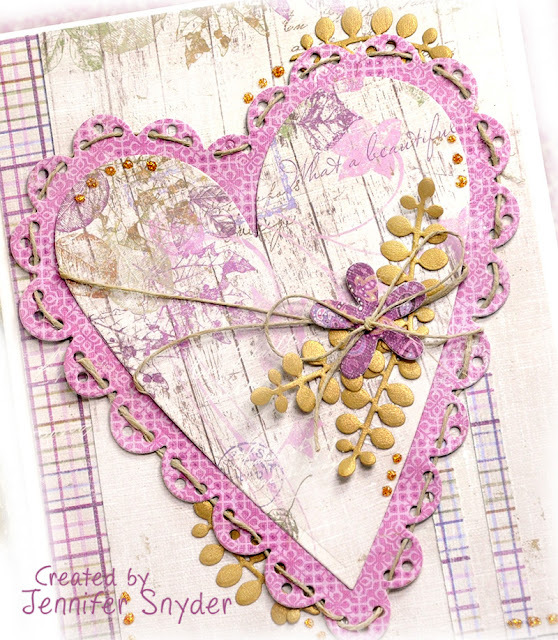 I'd like to share my heart card created using the Enjoying Outdoors collection from Maja Design and Spellbinders Sew Sweet Valentine by Tammy Tutterow . I have to smile because the name of one of the sheets of paper I used is called "There is No Bad Weather". That is soooooooooo true when you are sitting at your crafting table and making some paper projects. There just is no bad weather - it's always a perfect time to scrap. 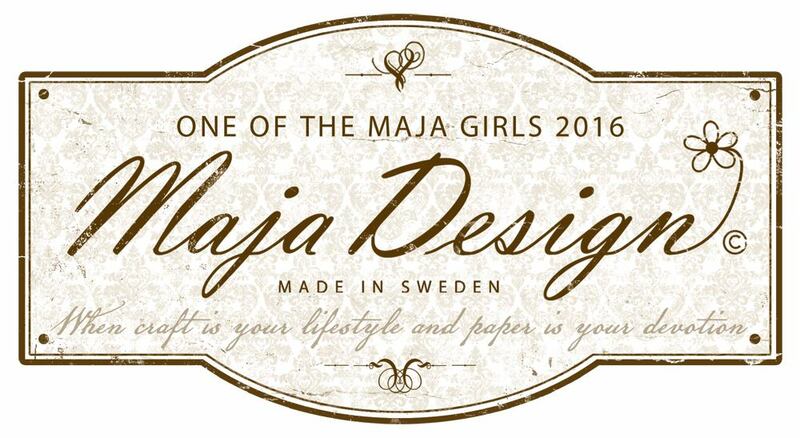 And even better when you are playing with Maja papers. These are just gorgeous colors and they make me happy. This collection is a MUST for anyone who loves purple. This is sure to make you scrap-happy. I embellished my card with die cuts from Spellbinders - Sew Sweet Valentine Die by Tammy Tutterow. 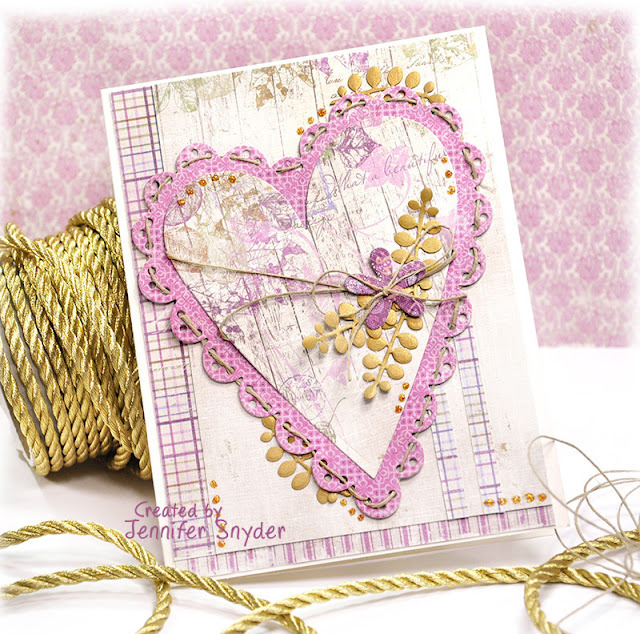 I wove hemp twine through the holes in the heart die to add more natural elements to the card. 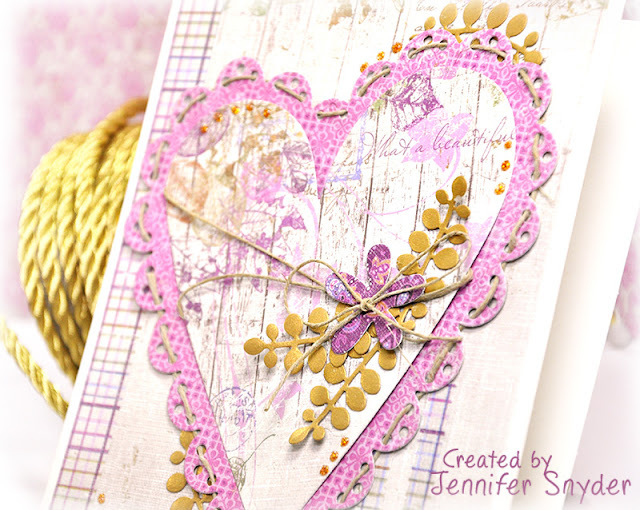 is fun, a bit quirky as it sits slightly off center and absolutely sweet ( as the name, Sew Sweet implies). The off-centered nested hearts give the die collection such charm. You can see other examples of projects/cards using this die Part 1 here. Here is one last look at the completed card. Ahhh those colors! Thanks for making a stop here today. I value your time. I'd like to share a card I made for my mother to celebrate Mother's Day. 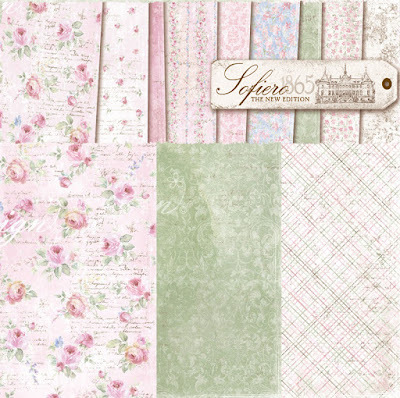 I used the gorgeous soft collection from Maja Design, called Sofiero. 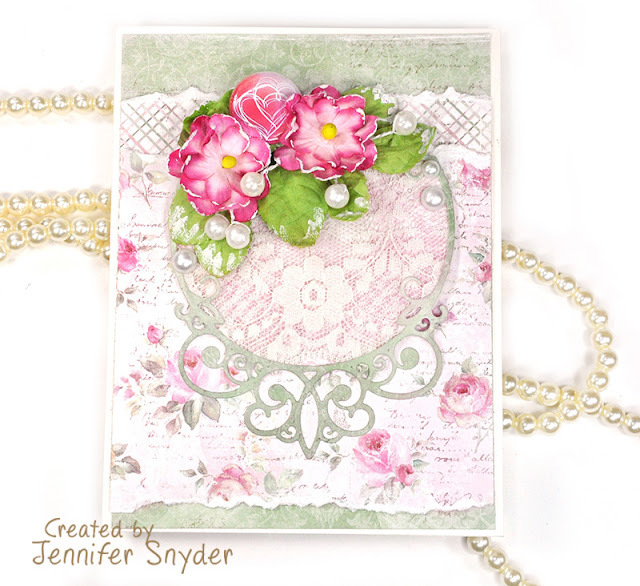 The beautiful rose florals in this collection remind me of the rose garden my mother had in our front yard. 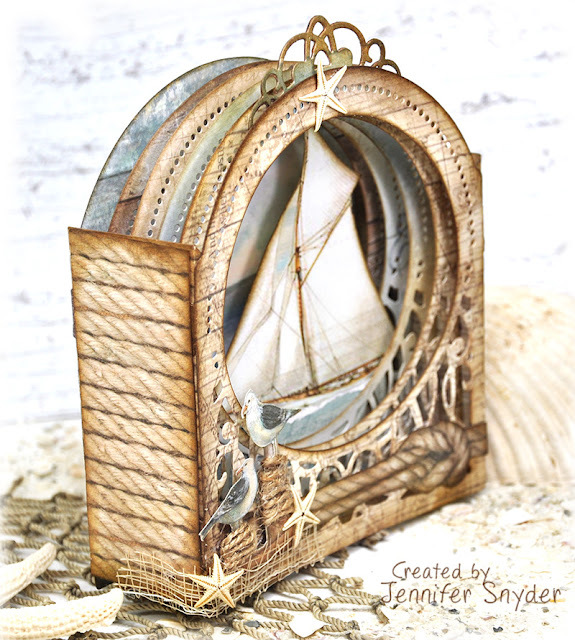 The embellishing die is from Spellbinders' Elegant 3D Vignettes collection by Becca Feeken called Spellbinders Tiara Rondelle . The die was backed by a piece of floral lace to add an extra touch of femininity. My embellishments are a combination of flowers from Prima and a flair button from Creative Embellishments. The Flair button is very pretty and versatile. 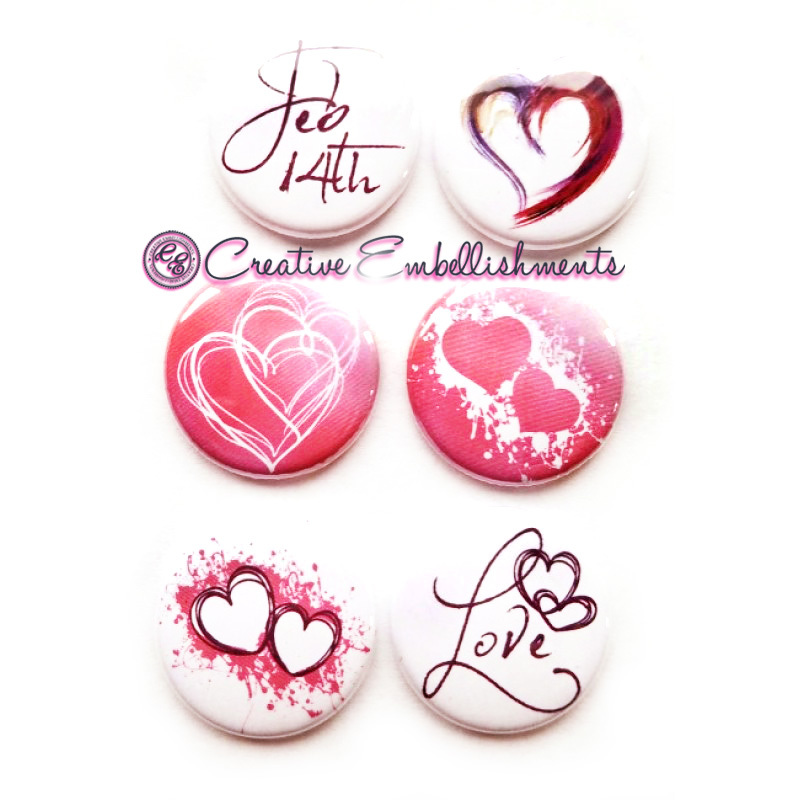 It's part of the Feb 14th Flair collection at Creative Embellishments. This is the Spellbinders Tiara Rondelle Dies by Becca Feeken . 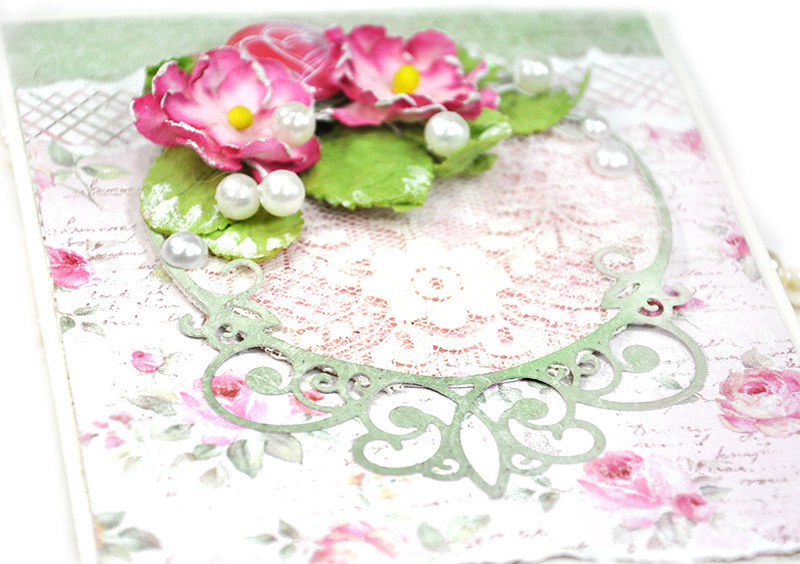 You can see more You can find more cards using the Spellbinders Tiara Rondelle Dies by Becca Feeken here , here and here. Thanks for sharing a little of your day with me. 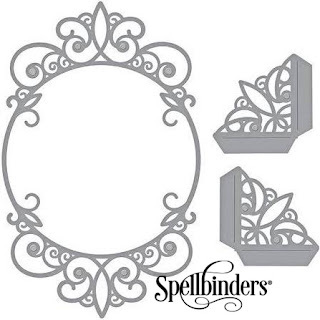 I have an assortment of Spellbinders dies that I used from the Elegant 3D Vignettes collection by Becca Feeken . 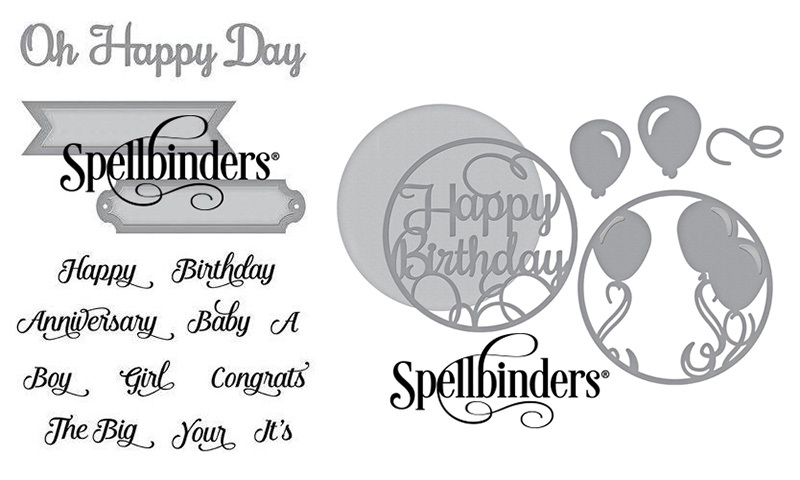 Spellbinders Oh Happy Day -Elegant 3D Vignettes Collection (stamp/die set). 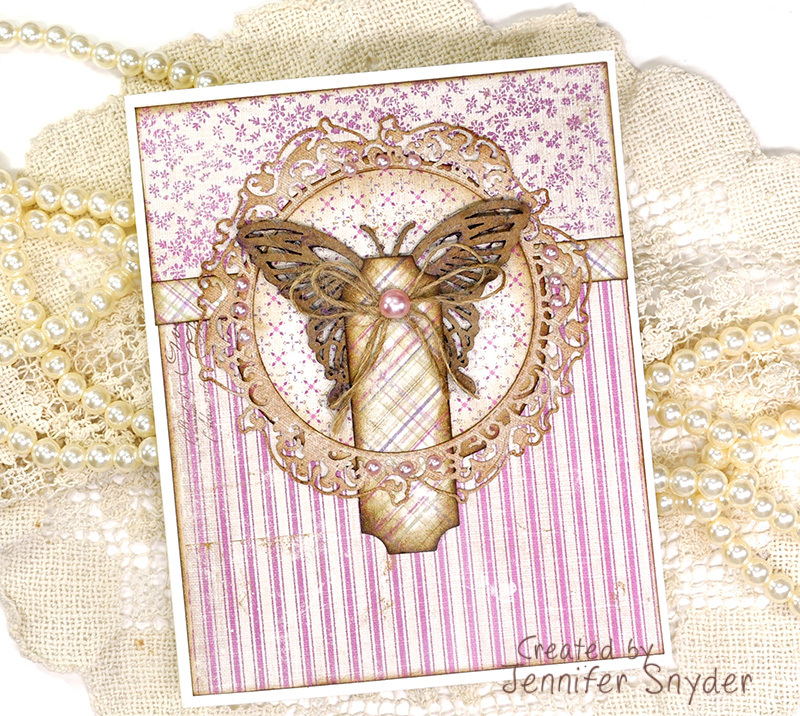 I used Watercolor Paper misted with water and stamped with a variety of Distress Inks ( Weathered Wood, Peacock Feathers, Twisted Citron) to create a cool watery flowing look. I have a super quick video (1 minute long - yeah I mean quick!) 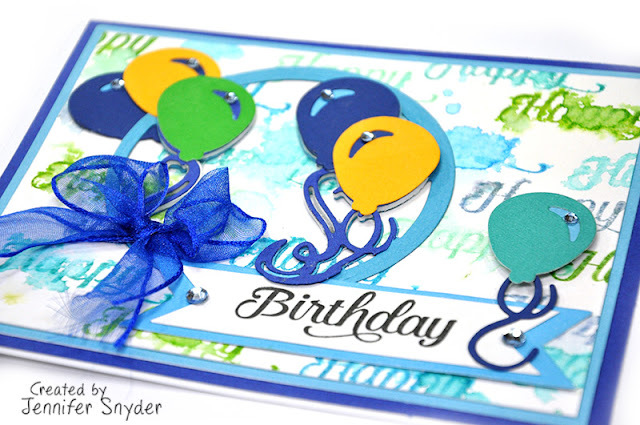 showing how I created my watery background. 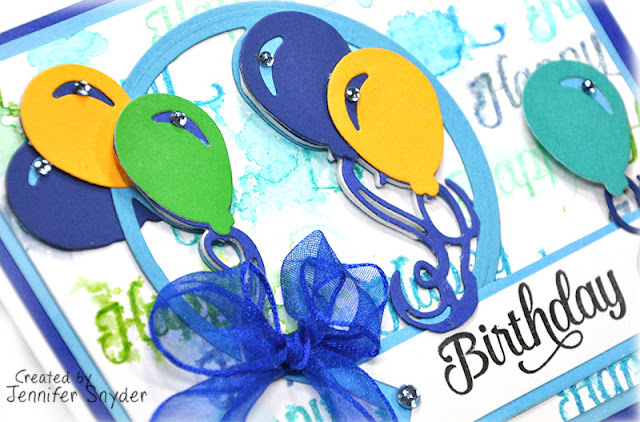 In order to create a little dimension with the balloons, I added a layer of foam to some of the details. 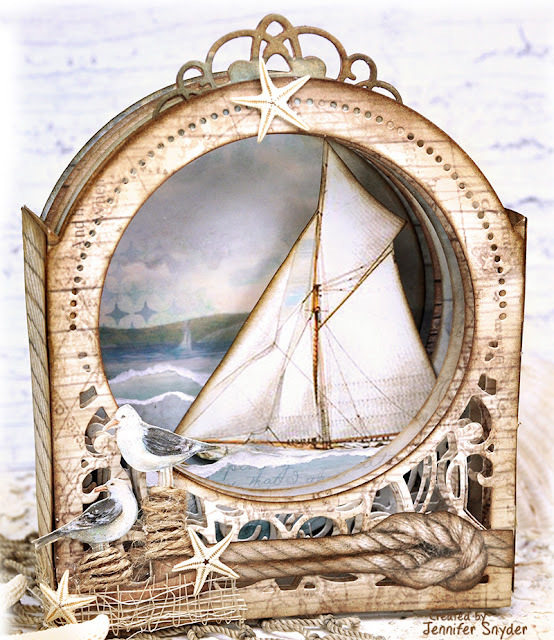 This was done by die cutting thin fun foam I bought at a craft store. You can see another card made using the same stamping method to create a the watercolor background right here. 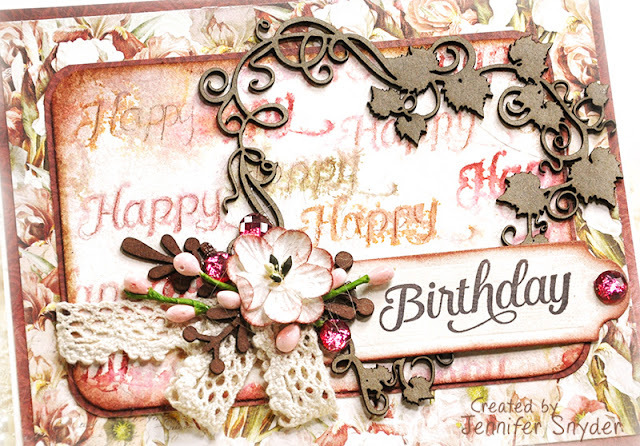 I like keeping my supply of birthday cards well stocked because I enjoy giving the cards but I'm not so good about keeping an organized list of upcoming family birthdays. 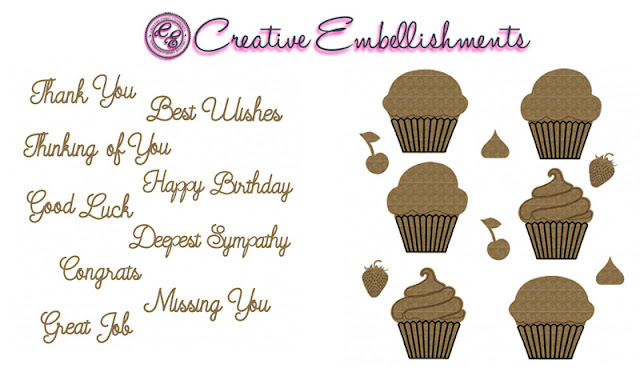 That means I have to scramble to make a card. Well, that's just not practical. I'd prefer to be at least prepared with the cards. 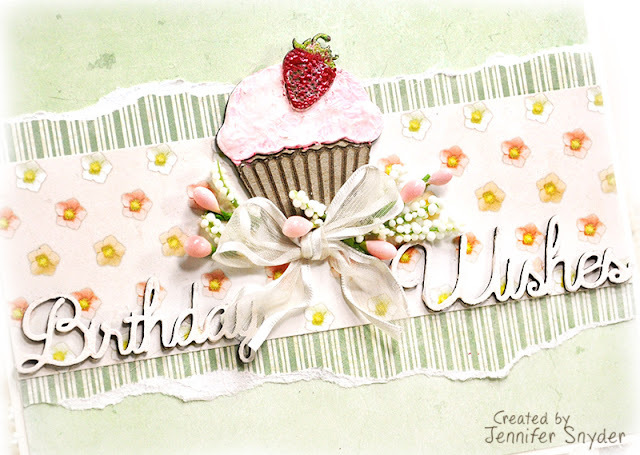 Creative Embellishments has the perfect chipboard pieces for birthdays and any other occasion you can imagine. My first card has a bit of a vintage vibe. 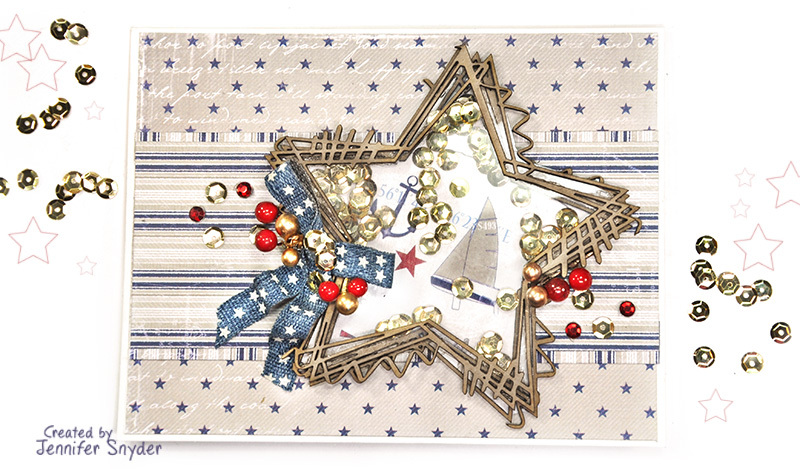 The chipboard pieces used on this card are shown below. 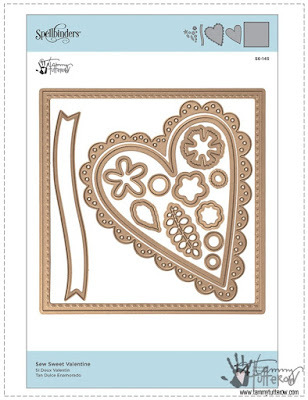 I am in nutty love with the Grapevine Heart Wreath. 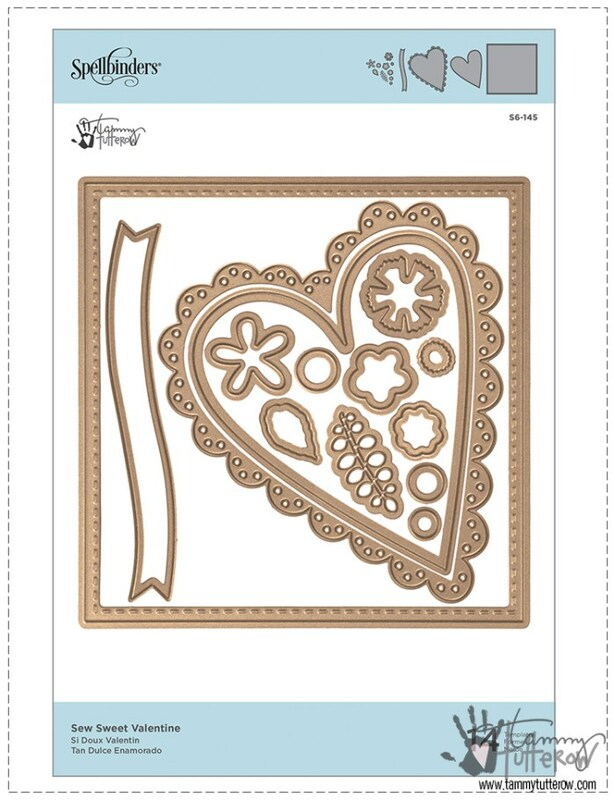 While I just love heart shapes in general, this NEW design is gorgeous and delicate and large enough for a frame on a layout. 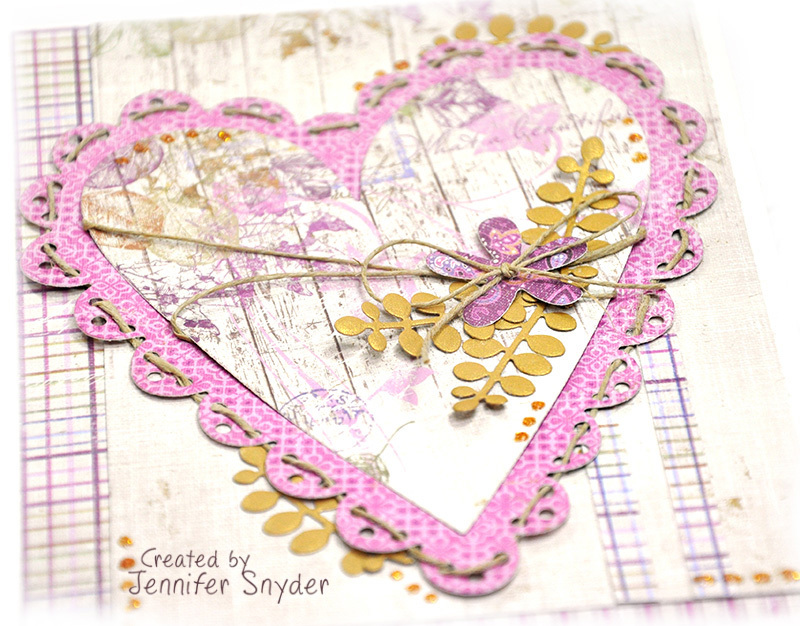 I lightly inked this heart using Distress ink in Vintage Photo. I used the twigs/greens from the Poinsettia Set as filler in my floral cluster. 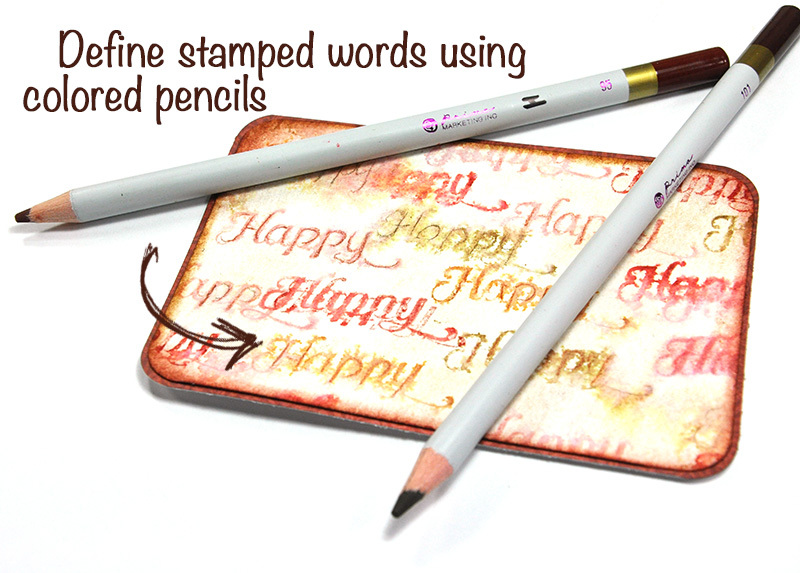 They have also been inked with Vintage Photo Distress ink. This heart comes in an original size of 6.5"w x 6"h.
Card makers may need to order a custom size to be cut. That's super easy! 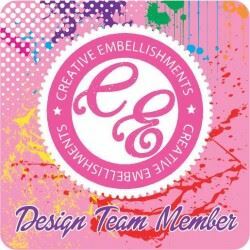 As you are paying for your order, just add a note into the comments section of the order and Nicolle will be happy to accommodate. 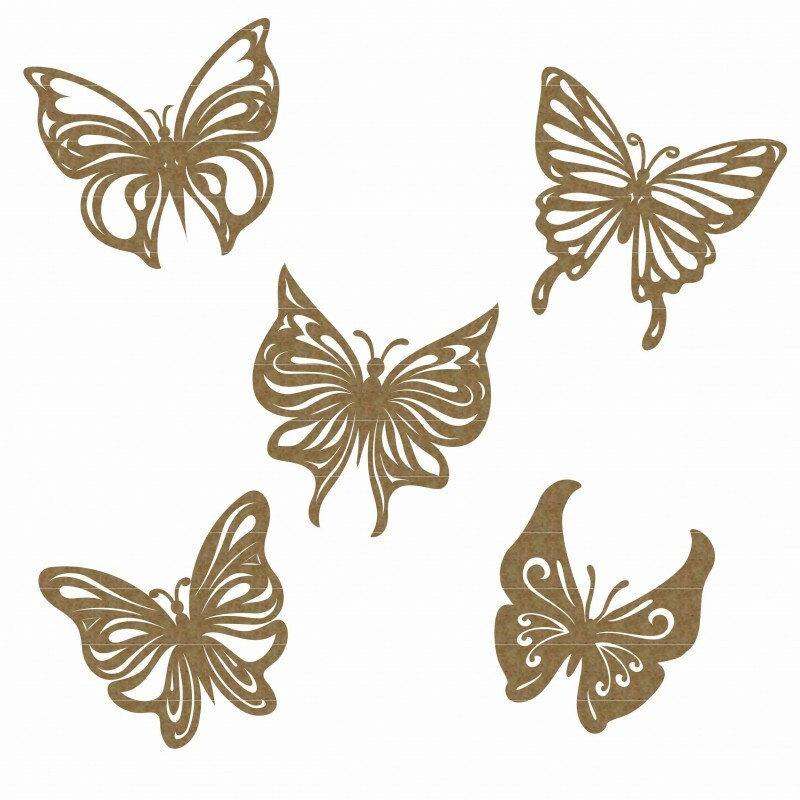 Don't let the size discourage you from ordering this totally divine piece. 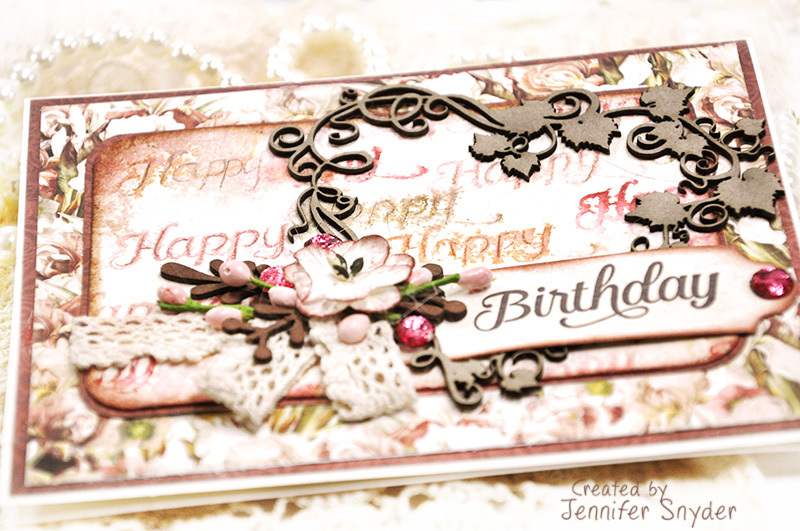 The stamped background and Birthday sentiment tag was created using the Spellbinders Oh Happy Day -Elegant 3D Vignettes Collection by Becca Feeken and a variety of Distress Inks stamped onto watercolor paper misted lightly with water. 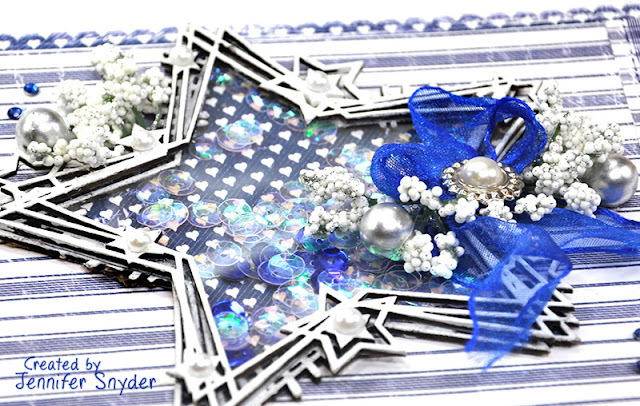 Below is an image of the background before adding embellishments. I have a super quick (1 minute) video showing how I created the watercolor stamped background using Spellbinders Oh Happy Day stamp/die set. 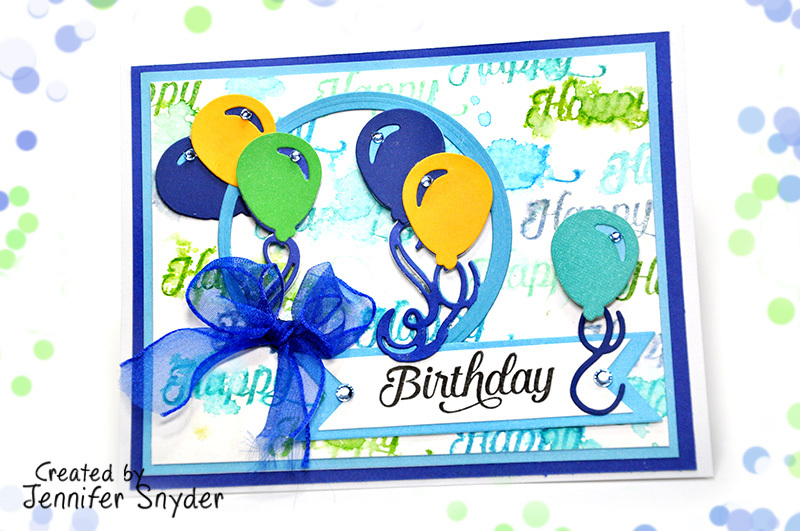 Here is the link for the card featured in the video. 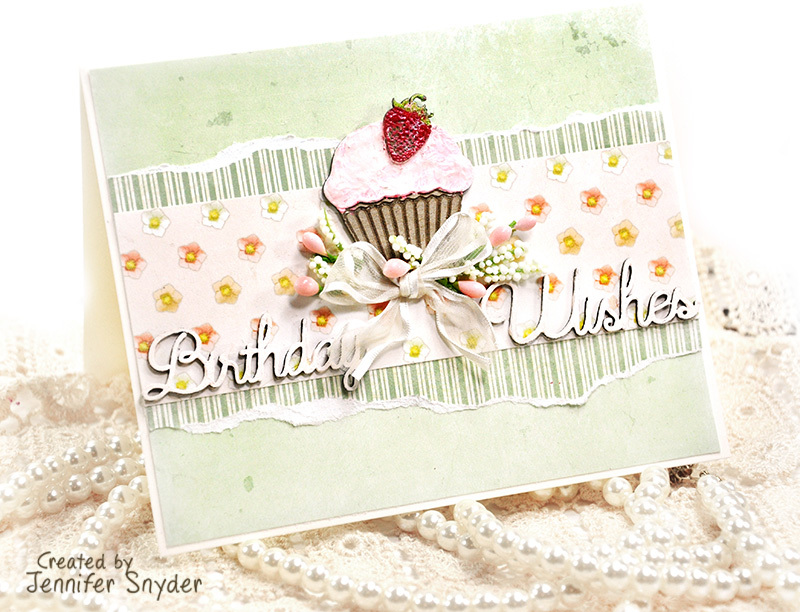 Moving on to my second birthday card - the cupcake card. Featuring the most adorable chipboard cupcakes you will ever see! 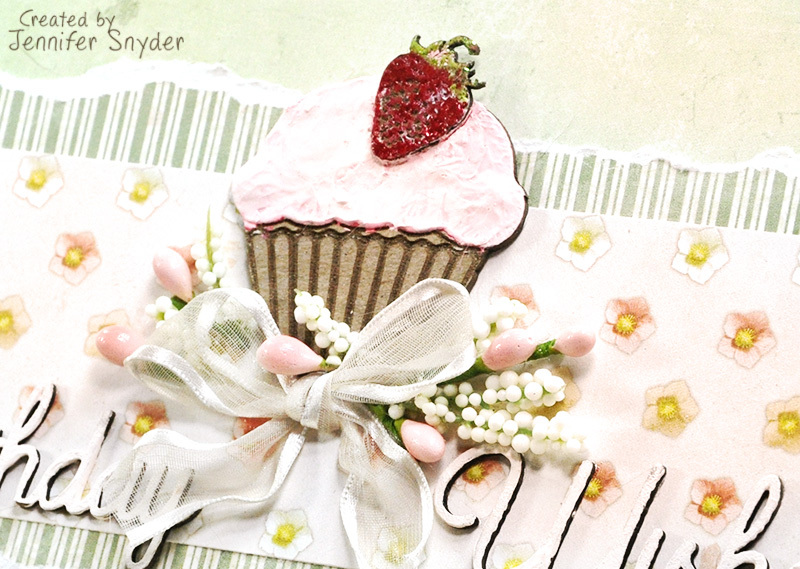 I used the following chipboard pieces on this card and painted them with acrylic paints. See what I mean about the darling cupcake chippies? So many possibilities and you get 6 cupcakes in a set. How adorable would these look on the front of a child's birthday invitation? Thanks for sharing a piece of your day with me. 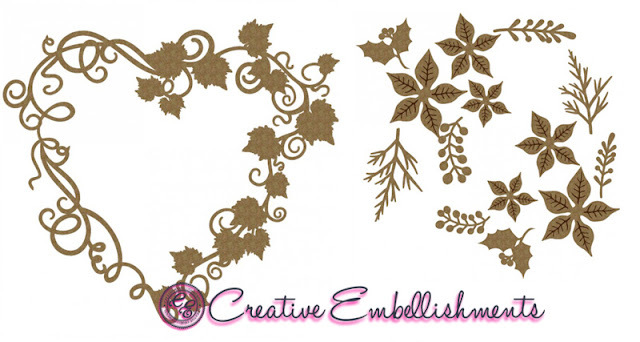 You can shop for Creative Embellishments chipboards, stencils and products here.